I am disgusted by the number of Americans who are happy to give up their constitutional rights as law-abiding citizens. The same people who are upset about the illegal wire-tapping are the same ones who are pushing for the government to take away everyone’s guns. What happened to your precious Constitution? You want the right to free speech, but feel fine giving the government the right to tell you if you can or cannot have a gun. Why are the first, third or fourth amendments any more important than the second? The founding fathers made it the Second Amendment for a reason. People in this country have been well trained to be victims and to not stand up for your rights or for what you believe in. If you do not want to have a gun in your home, don’t have one. Why is it anybody else’s decision if I can own a gun? I do not force my beliefs on anyone because I believe that adults should have the right to make their own decisions. It is illegal to murder a person right now. What makes you think that taking guns away from legal gun owners is going to stop criminals from obtaining them? Stop taking the blame away from the criminals and putting it on their weapons. Criminals do not abide by laws so all that will happen is that the law-abiding citizen will be rendered defenseless. The criminals know this and use it to their advantage. Simply look at the statistics; places like New York City, Boston, Los Angeles, and DC have very strict gun laws and they have some of the highest rates of crime in the country. 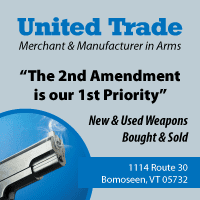 Vermont, with its very lax gun laws, has very low crime rates. Wasn’t it published recently that we are the second-safest state in the nation? 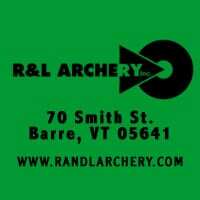 I’ve heard people say that this is because there are no gangs here in Vermont; sounds to me like a gang problem and not a gun problem. The fact is, the criminals do not know who may be carrying so they don’t bother people. I feel a whole lot safer walking down the streets of Burlington with their “careless” gun laws than I do walking down the streets of New York City. Lastly, the fact that some countries in Great Britain and Europe do not allow its citizens to own guns does not make those countries safer. I do not know where people get their statistics from; violent crime in London has been on the rise for years after banning handguns. Remember, guns do not take rights away from anybody, like Klopfenstein wrote in his article, (“Massacre shows it’s time to get guns off the streets,” April 27) the criminals using the guns do.